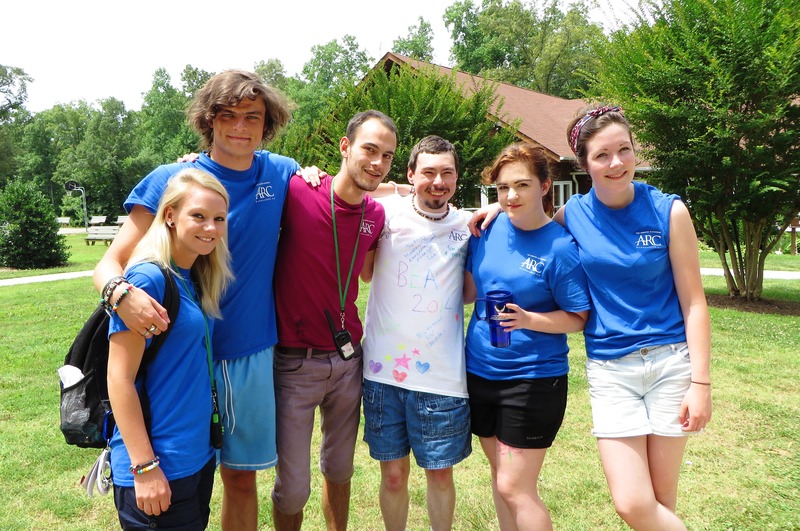 Matt with just a few of the many fabulous staffers at Camp Baker, June 2014. It was heartwarming that these young people (most of whom come from England each summer to work at the camp) not only remembered Matt, but also were mindful of what he had been through in the past year. I wish everyone who worries about young people nowadays could come to Camp Baker with us each year. It’s a great way to feel optimistic about the future. These staffers bear no resemblance to the sullen, gadget-addicted stereotypes one often sees portrayed in the media. No matter what age a person is, I’ve found Schweitzer’s observation to be true. The people I meet who are focused on loving and serving others are the happiest I know. Those who are focused on their own problems, deficits and challenges are distracted, frustrated and unpleasant. For the record, I fall into the latter category far more often than I wish I did. The ones in the former group are my inspiration to keep looking upward and outward. Next time you’re feeling sad and overwhelmed, or pessimistic about the state of the world, seek out places where people are busy with outreach to those who need them. They aren’t hard to find. Community groups, places of worship, schools, neighborhood associations and service organizations are full of volunteers for whom helping others is a labor of love. If you spend some time with these folks — or better yet, join them — you will soon find what you are seeking. When we serve, we usually are too busy to worry about our own happiness, but somehow it manages to sneak in the back door and prepare quite a feast to greet us when we return, tired and satisfied, from a day spent with others. Whatever our destiny may be, the secret to real joy is surprisingly consistent. Julia ” as the theme’s from The Green Hornet and “Batman’ play in the background, you made some good points about reaching out to others.If only on my job , I make a few moments a day to observe people and go in their direction to acknowledge them with a word of encouragement. Even those who avoid eye contact, I speak anyway and it surprises them and puts a smile on their face. Update on my wife’s aunt. It was only a mini stroke she has last Friday night. She was just moved to rehab yesterday. Her husband is still there.. We are working to get them in to a assisted living facility. These trials and tests are making us trust God more, and take stewardship of lives more seriously.There are too many examples around us of God giving his best and then we turn around and ” give him a sloppy effort. 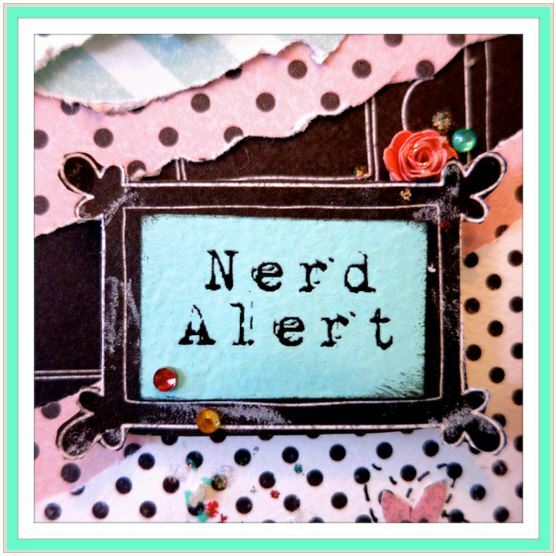 You, Jeff and Matt are a source of encouragement to us” that you wont find on daytime TV or Nighttime for that matter. Be blessed and thank you for all you do in the lives of others…..
Raynard, I’m glad your wife’s aunt is doing better than she could have been, under the circumstances. I hope your way will be made smooth and clear for you to help them transition to a new stage of life. It’s bound to be hard for all concerned. Thanks so much for your kind words about our family; some days are easier than others for us, but we survive on prayers and encouragement! Hope you will have a great weekend coming up. Very, very true! It’s the seeking part that we sometimes forget, I think. At least, I am less likely to find meaningful purpose in my life unless I make a conscious effort to go out of my ordinary way. Susan, I think you are right about that. Gadgets are fun and can be addictive, but I bet they are like the computer. If I spend too much time with it, I get kind of depressed. The bad part is that almost all of life now requires some sort of computer use, even checking medical lab results and paying bills and checking in for a flight. It’s convenient, but cumulatively it can be de-humanizing. Even more reason to search out those personal connections, even online! Alice, thanks so much for your kind words and encouragement! Jeff is feeling a bit better this week since there wasn’t any chemo. We have good and bad days as would be expected, but overall we have a lot to be thankful for. Matt is doing really well, and having that surgery behind us is such a relief. It had been hanging over us for more than 5 years since they kept wondering how much longer they could put it off. We feel so blessed that all is well for now. Hope you and your family are well also. What a HUGE “Matt smile”!!! It thrills me to see that loving face & know that he got to spread his special brand of JOY at Camp Baker! It shows that he loves being there. Of course, the staffers missed him! He lights up the space. Mary Ann, I really like that quote! And it’s so true. Thanks so much for your affection and encouragement for Matt. It means more than either of us could say. I agree, Sheila, it’s definitely a divine gift. I’m so glad we are able to treasure it! What a difference the world will see, if more would be like Matt. His smile and mild manner is contagious and everyone who comes to know Matt cannot but smile and spend time with him. He has jokes ready to share and also an ear to listen to you as well. We all love him and are proud to be his friend. Thank you, Larry. Your daughter Amanda was among those who have been kindest and most respectful to Matt. I treasure my memories of one evening a few years ago when they sat, two cousins who were seldom together over the years, and talked, laughed and generally enjoyed each other’s company. Unlike many people his age, Amanda related to him as a peer and not as someone to feel sorry for or talk down to. I am sure she learned this attitude from her family and I appreciate it! I know Matt did too. Alys, before we came to Virginia, Matt had similarly wonderful experiences at Camp Costanoan, in Stevens Creek Park, not far from where you live. We have very fond memories of that whole area since Jeff and I used to take weekend mini-vacations while Matt went to weekend camps there. I’ve heard wonderful things about that place, too. We tried camping with our boys a few times when they were young, but it was very hard on my oldest son, so we packed it in. I love it when you mention places in the area. I can almost picture you here. I hope Matt is having a terrific week. The nice thing about Camp Costanoan is that, as with Camp Baker, it’s sort of luxurious because the activity centers, dining hall and “cabins” are air conditioned. So many of the campers have health conditions that require it. At Camp Baker, each camper has his or her own cubicle for privacy — really unusual for camps, in my experience — so calling it “camping” is sort of stretching it. Except for the usual fun activities (bonfires, swimming, horseback riding, crafts or whatever). I love my memories of Northern CA. A couple of times while Matt was at camp, we stayed in the Holiday Inn Express right on the beach in Pacifica, where we ate at the nearby Taco Bell, also right on the beach. There are so many neat little places to discover, and many of them are inexpensive as well as fun. We also loved Monterey/Carmel/Pacific Grove, Santa Cruz, and too many other places to mention! You really do live in a wonderful region. We do indeed. It’s extraordinary here. I too love Monterey, Carmel, Felton, Capitola, San Francisco, Santa Rosa, Napa. Lots to see and do. I will add Camp Costanoan to my list. Alys, Camp Costanoan is just for people with disabilities (I think) but it is located in Stevens Creek Park, which is huge and open to all. Living in northern California was like a dream in so many ways. Beauty every direction you turn, and weather beyond compare. WOW, I had forgotten about Felton – Jeff and I had a wonderful day at Roaring Camp, riding the narrow-gauge railroad while Matt was at camp one weekend. This is making me homesick! I’m glad Mr. B went with you. It’s gallant of him to be protective, especially in less-than-ideal locations. 😀 I was a bit afraid the first time we worked at the homeless shelter because there were so many guests and so few workers. But I quickly felt at home and not nervous at all. At some point there must have been some sort of incident over the years, because after a time they started having an armed guard there. But nothing ever happened while we were there, not that we were there that often. One night there was a guest who was unhappy with one of the rules (there are SO MANY rules! I guess there are reasons for that) and the lady who was in charge was very tough and not giving in. After the man gave up and left her alone, another guest came up and told her “I just want you to know, I’ve got your back.” 😀 I thought that was kind of cool. You flatter me to say that I inspire you – it’s your BIG HEART finding even more ways to shine the light! Thank YOU!